Today, Evans seemingly made his exit official, tweeting that he had officially wrapped on Avengers 4 and that it was an “emotional day to say the least.” He didn’t literally say “I’m not playing Captain America anymore,” but the implication is clear. 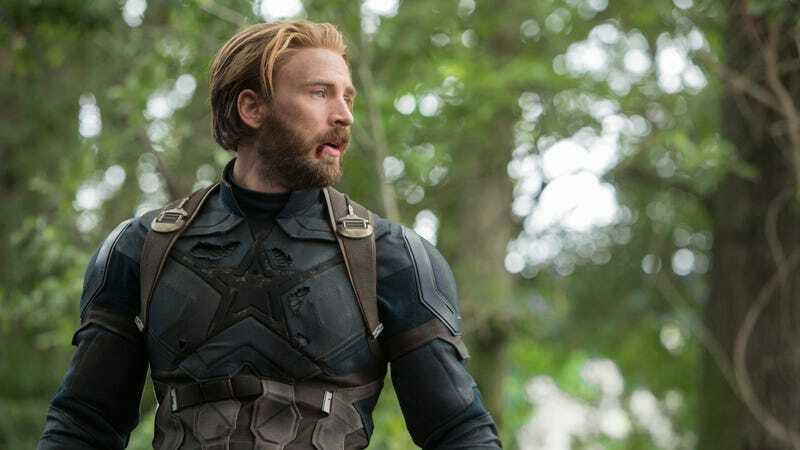 Now, we still don’t know anything about Avengers 4, but it seems pretty likely that Cap isn’t going to make it out of the movie alive. With Evans stepping out, that’s really the only way to take the character off of the table in a way that won’t leave the audience constantly wondering why Captain America doesn’t just come in and save Iron Man from Kang The Conqurer (or whoever will be the next villain after Thanos). We’re not saying he’s definitely going to sacrifice his life to save his friends and then wake up in heaven with Peggy Carter so they can finally have that dance, but you should bring some tissues into the theater just in case. Unless this is all a bit of misdirection and Cap isn’t really going anywhere. Please don’t leave us, Cap. We need you.